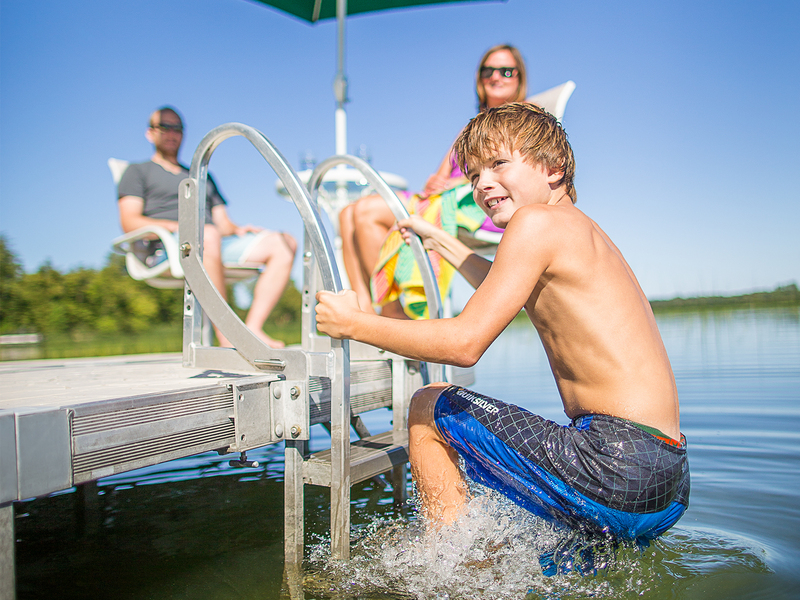 Get in and out of the water easily with ShoreMaster’s Pivoting Ladders. A vertical pivoting action and locking pin allows you to flip the ladder up when you’re not using it, making it ideal for swimmers. Requires 2 InfinityTrack Accessory Bracket for attachment to ShoreMaster dock.